﻿ National Road Bikeway - Ohio. Find It Here. 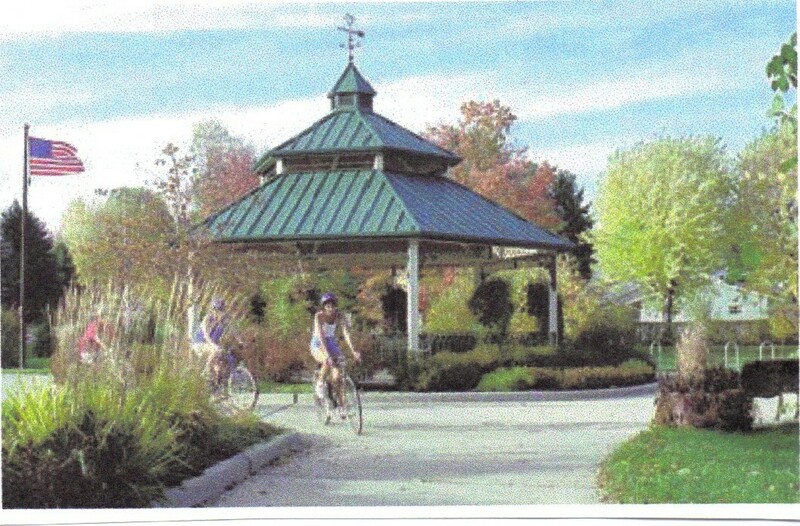 The National Road Bikeway in St. Clairsville is the only rail trail in Ohio with a tunnel. This is not to be confused with being the only bike trail in Ohio with a tunnel as there are several. This trail is the only RAIL trail, and St. Clairsville is proud of the distinction. The tunnel is 532 feet long and 40 feet high. The tunnel restoration for the bikeway maintained the cave-like interior. Interior lighting was installed with lights that reflect 90% of the light down onto the trail and 10% up to the ceiling. The northern end of the tunnel features a two plaza overlook, allowing the user an 80 foot high view of the bike trail at the top level. This tunnel is truly a sight to be seen. Opening ceremonies were held on June 26, 1998.